Stop and Search: Know your rights! — 5.30pm to 7.30pm, Monday 24 June 2013. Fitzrovia Neighbourhood Association, 39 Tottenham Street, London W1T 4RX. 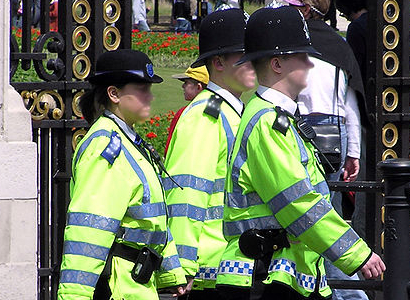 What powers do the police have to search you? Where can the police search you? What should the police tell you? Should you get a record of the search? Do the police always have reasonable grounds to search you? What if you are arrested? Come and find out about your legal rights when stopped and searched by the police. Your questions will be answered by a solicitor specialising in criminal law from Tuckers Solicitors, a UK law firm specialising in criminal law and civil rights. Entry: Free. Part of Fitzrovia Festival 2013. This entry was posted in Uncategorized and tagged arrest, criminal law, Fitzrovia, Fitzrovia Festival, legal rights, London, police. Bookmark the permalink.